Bunners Bake Shop – vegan in your city. 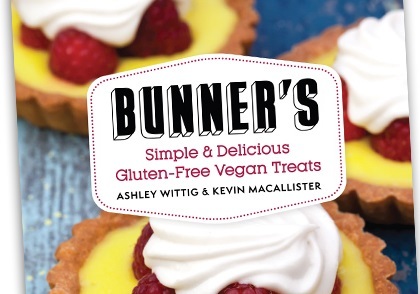 Home Posts tagged "Bunners Bake Shop"
I’m really excited about this book launch. It’s the little vegan gluten-free bakery that could and they’re doing it successfully & deliciously. for more information about their book check out their website. So, if you go to this event there will be lots of books to buy, *free* arcade games AND Bunner’s treats to eat! Check out the event on Facebook: https://www.facebook.com/events/716248148415163/ Accessibility Notes About Get Well: No barrier at entrance, but washrooms are in the basement.